May 5th is known as Boy’s Day (now Children’s Day) in Japan. My family never really celebrated this day .. my parents are second generation also called Nisei, Japanese Americans .. so in a nutshell they were born here, but spoke English to their parents. 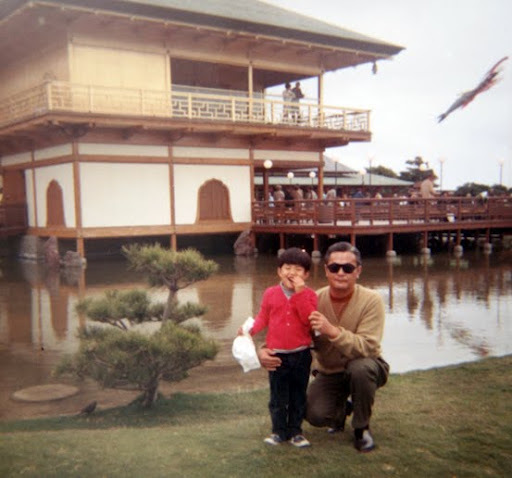 They could understand spoken Japanese, but by the time I came along, a third generation or Sansei, Japanese American … well lets just say not only did i not speak or understand Japanese but most if not all the traditions went out the door as well. 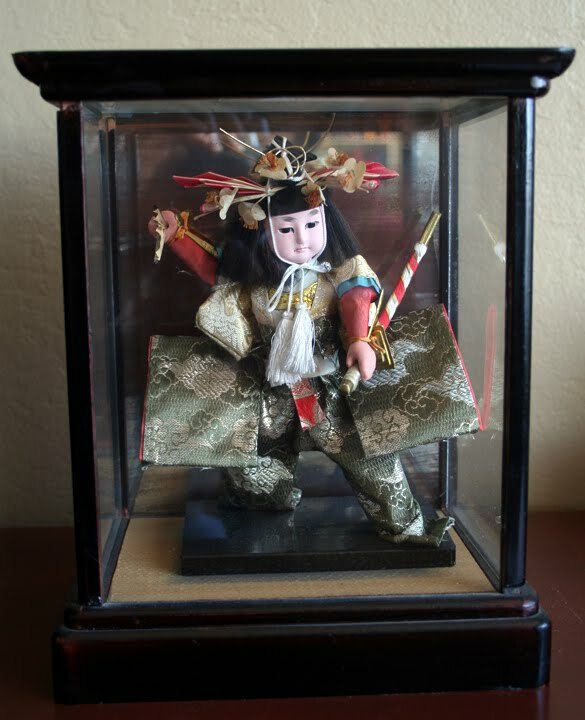 Unlike a lot of cultures that settle here, the Japanese Americans for the most part shed most of their connections to most things Japan related, and fully embraced all things American. You may ask why this was, and that is a much longer discussion that mostly involves the Internment Camps of World War 2 .. of which both my parents and their families spent nearly 4 years of their life behind barbwire and gun towers. Lets just say if you were Japanese, you didn’t want any connection to anything Japanese during this time period. But I digress .. I am the only boy in my family, in fact my two sisters are ten years older than I, so it was like I was an only child growing up. 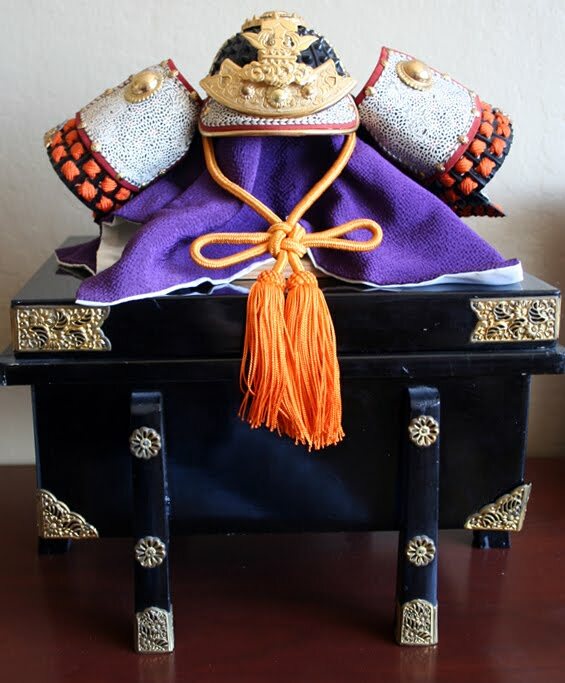 I did get glimpses of what it means to be Japanese .. my mother would display this Samurai Kabuto (helmet) and Samurai Doll on May 5th, and say when i got bigger it would be for me to give to my son. I ,of course, only wanted to play with it and actually I’m amazed I did not destroy it in the years I’ve had it 😉 We also would run around with flag shaped Carps .. whose meaning was lost to me at the time.